An herbivorous rodent and cousin of the squirrel and chipmunk, the black-tailed prairie dog (Cynomys ludovicianus) once inhabited North America’s Great Plains in such an abundance that it drew the attention of the Lewis and Clark expedition; Meriwether Lewis trapped one of these “barking squirrels,” as he called them, and sent it back to President Jefferson as a gift. 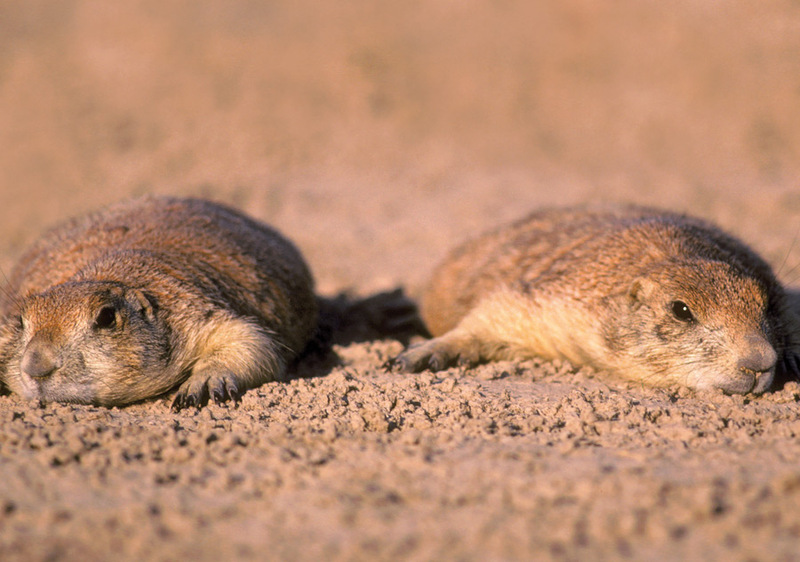 Social creatures, prairie dogs live in large, multifamily colonies that can cover vast areas. They dig elaborate burrows and are often seen standing guard outside the entrances, scanning for predators and sounding the alarm with a high-pitched cry should one approach.